Seventeen years ago, the United Nations designated March 22nd as World Water Day. It’s designed to bring attention to the fact that over one billion people in the world are without access to adequate water, and focuses attention on the growing issue of “water privatization” — forcing many people to pay private companies exorbitant prices to obtain the necessary water to survive. In addition to events that took place yesterday, many more are scheduled throughout the world during this coming week. You might also be interested in A Beginning List Of The Best Resources On California’s Drought and The Best Resources For Learning About The Flint Water Fiasco. The UN has a special site on World Water Day with lots of resources. Water Aid also has many resources. The New York Times has a video on a neat simple solution for clean water. Safe Drinking Water is a site developed by the Academy of Sciences to highlight worldwide water issues. It has several good videos that are closed-captions, along with an atlas showing which countries have less or more access to water resources. It’s definitely accessible to Intermediate English Language Learners. The CBBC Newsround has a very accessible Guide To Water. Ten Things You Should Know About Water is a good infographic. Find Water Polluters Near You is an interactive from The New York Times. You can type in your zip code and then learn about nearby companies cited for polluting local water. The Times also has a video called Toxic Waters. The Coming Water Wars is a great infographic. World Water Day 2010 is a series of photos from MSNBC. World Water Day is from The Boston Globe’s Big Picture. From Lettuce to Beef, What’s the Water Footprint of Your Food? How Much Water Is Embedded In Everyday Life is an interactive. Water Economics is the title of a neat infographic on water use around the world. Absence of Water is an interesting slideshow. Crowdsourced Picture Show About Water is another slideshow. “Glass Half Empty: The Coming Water Wars” is an infographic reviewing the water crisis in different parts of the world. Water and Cities: Facts and Figures is a useful interactive. Fresh Water Supply is an interactive that lets you explore water usage around the world. The Water Planet Challenge has a ton of good resources. World Water Day is a photo gallery from The Atlantic. 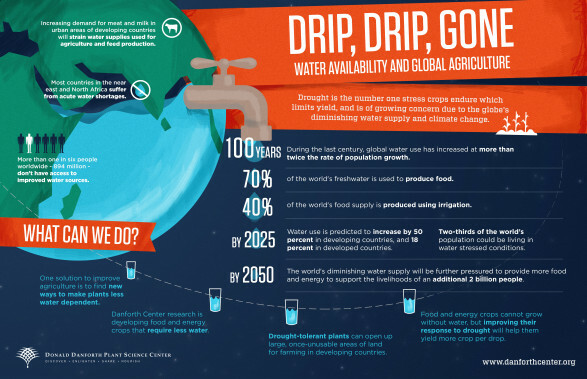 World Water Day Challenge is a collection of infographics. World Water Day 2012 is a photo gallery from The Boston Globe. World Water Day 2013 is a photo gallery from The Boston Globe. Water Availability and its Impact on Global Agriculture infographic by DanforthCenter. 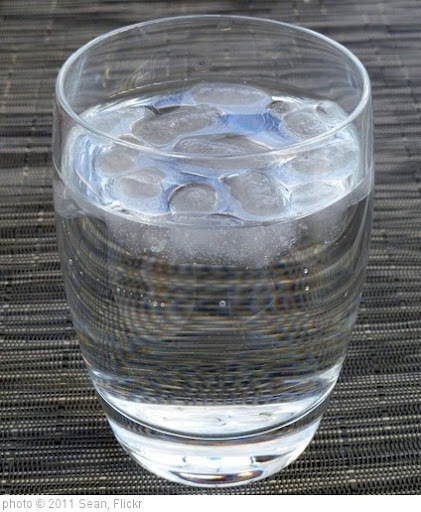 World Water Day 2013: First-World H2O Problems is from The Huffington Post. World Water Day is a Washington Post slideshow. How much water do you use? is an interactive from The Washington Post. World Water and Sanitation, 25 Years Later is a Wall Street Journal interactive. See Where Access to Clean Water Is Getting Better—and Worse is from National Geographic. The Daily Struggle for Clean Water is a series of photos from The Atlantic. All Is Water: The Global Crisis in Photographs is from The Atlantic. Aquation is a game just unveiled by the Smithsonian. Choice, strategy, balance, and . . . water equity? Parts of the planet are struggling to get enough water. Use each region’s wealth to build pipes, desalinate water, and conduct research to bring water where it’s needed most. Monsoons, dry spells, disease, and even cursed lawn sprinklers can help or hinder your progress. Manage your wealth and water carefully to solve the world’s water crisis! Check out the World Water Atlas.